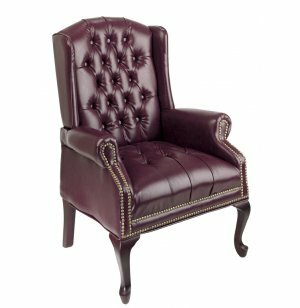 Make your guests feel like visiting royalty by inviting them to take a seat in this impressive and elegantly designed Traditional Executive Guest Chair. With a generously-sized, lushly-padded cushion, armrests and back, and a built-in lumbar support, your visitor's comfort is guaranteed. 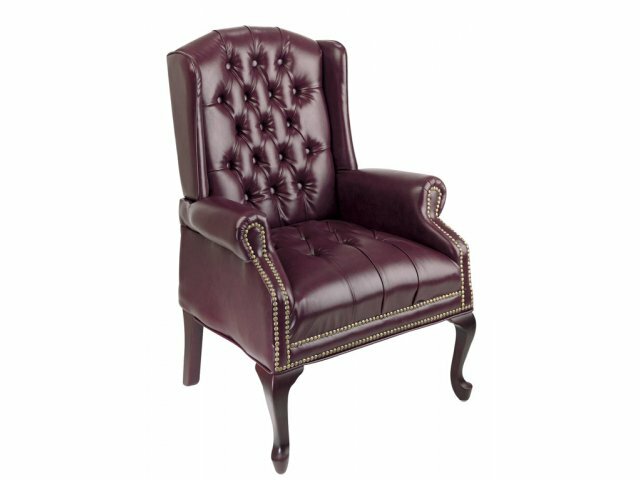 The stunning combination of deep oxblood vinyl and mahogany-finish wooden legs calls to mind a different era when class and elegance were not just appreciated, they were expected. Back Size: 19"W x 25.5"H.